Mitchell Beazley (part of the Octopus Publishing Group) has acquired a new cookbook from Higgidy founder Camilla Stephens called Higgidy – The Veggie Cookbook. 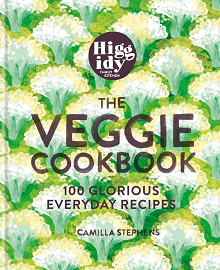 Higgidy – The Veggie Cookbook will be published in August as a £20 hardback. 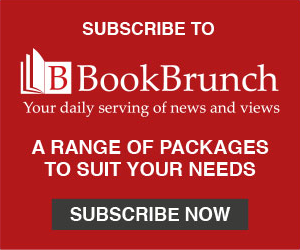 According to the acquisition statement: 'it will be filled with more than 100 easy and delicious recipes for feel-good family food. comforting pie to plonk on the kitchen table after work and school or a lunchbox-friendly frittata. Alongside Higgidy classics such as Garden Pea and Potato Quiche and Sweet Potato Crusted Cottage Pie, there are ingenious ideas such as a 10-minute Fridge to Frittata. Stephens began making pies in 2003, having trained as a cook at Leiths School of Food and Wine. She worked for a time as head of food development for Starbucks UK before leaving to start her own business – Higgidy – with her husband, James. Since then, Higgidy has become one of the UK's fastest-growing food companies, and its products are now stocked in several major supermarkets. Bates said: "Camilla has created a collection of fantastically easy-going dishes for this book that will quickly become your go-to recipes, whether you’re a full-time vegetarian or are simply looking to liven up your family mealtimes." Stephens said: "Whether you’re a committed vegetarian or dallying with the idea of meat-free Mondays, my hope is that this book will reinvigorate your repertoire of family favourites and help to show you how to cook with veggies in a new and exciting way." Her first book, Higgidy: The Cookbook: 100 recipes for pies and more, was published by Mitchell Beazley last October.